The third IEEE International Conference on Semantic Computing (ICSC2009) continues to foster the growth of a new research community. The conference builds on the success of ICSC2007 and ICSC2008 as an international forum for researchers and practitioners to present research that advances the state of the art and practice of Semantic Computing, as well as identifying the emerging research topics and defining the future of the field. The event is located in Berkeley, California. The technical program of ICSC2009 includes workshops, invited keynotes, paper presentations, panel discussions, and more. Submissions of high-quality papers describing mature results or on-going work are invited. The field of Semantic Computing addresses the derivation and matching of the semantics of computational content to that of naturally expressed user intentions in order to retrieve, manage, manipulate or even create content, where "content" may be anything including video, audio, text, processes, services, hardware, networks, etc. The main goal of the conference is to foster the dialog between experts in each of these disciplines. Therefore we especially encourage submissions of work that is interesting to multiple areas, such as multimodal approaches. The demonstrations provide a forum for researchers as well as industry participants to demonstrate working systems, applications, tools or showcases of base technologies to the conference atteendees. The goal of the demonstrations is to show a spectrum ranging from research prototypes to pilots developed and even products that use semantic technology and provide functionality based on semantics in context of semantic computing. For the submissions to this event, it is very important to describe the demonstration setup, functionality and benefit to the viewer of the demonstration. Technical background discussion can be presented at the actual demonstration or can be submitted as an industry track or regular conference paper; the focus of the demonstration themselves should be to show the functionality to viewers. It is expected that the demonstrations are highly interactive. As noted in the main conference call for papers, systems and applications is one of the main topics of ICSC2009. Demonstrations are ideally demonstrating a system or application that clearly shows the benefit of using and deploying semantics and semantic technologies. In addition, tools and base technologies that implement or use semantic technology or semantic approaches are invited for demonstration. The demonstrations are planned to be a single event during a conference reception function, open to all conference attendees, with the goal of open and constructive discussions. One table will be provided with power as well as an Internet connection. Posters can be put up behind or next to the tables (depending on the space) either on easels or the wall. Demonstrators must bring any additional equipment they require as no equipment will be provided by the conference. Authors submitting papers to the demonstrations must submit a 2-page paper that clearly outlines the demonstration that will be set up and the functionality a visitor to the demonstration can observe. The technical background, such as the architecture or algorithms, should not be described in detail; such a description would be better submitted to the industry track or main conference paper track. Including links to supporting material, e.g. a video on the web or a web-based demo itself, is highly encouraged. All submissions must be in double-column IEEE format and follow the specific submission guidelines on the ICSC2009 web page. The Conference Proceedings will be published by the IEEE Computer Society Press and the accepted demonstration submissions will be included in the conference proceedings. Regular Papers should be no longer than eight (8) pages, Demo papers should no longer than two (2) pages. Only electronic submission will be accepted. Technical paper authors MUST submit their manuscripts through EDAS. Please follow this link (please register if not an EDAS user). Manuscripts may only be submitted in PDF format. A copyright form needs to be submitted upon acceptance of the paper and is not required at this stage. 1. Every paper accepted for publication in the Proceedings of ICSC 2009 MUST be presented during the conference. 2. Every paper accepted for ICSC 2009 MUST have attached to it at least one registration at the full member/nonmember rate. Thus, for a paper for which all authors are students, one student author will be required to register at the full registration rate. What Semantics Has Meant to Me. Collaborative Technology for real time Interaction between geographically distributed people and data with applications to science, arts and education. Computing with Words vs. Natural Language Processing. Alex Acero received a M.S. degree from the Polytechnic University of Madrid, Madrid, Spain, in 1985, a M.S. degree from Rice University, Houston, TX, in 1987, and a Ph.D. degree from Carnegie Mellon University, Pittsburgh, PA, in 1990, all in Electrical Engineering. Dr. Acero worked in Apple Computer's Advanced Technology Group in 1990-1991. In 1992, he joined Telefonica I+D, Madrid, Spain, as Manager of the speech technology group. Since 1994 he has been with Microsoft Research, Redmond, WA, where he is presently a Research Area Manager directing an organization with 70 engineers conducting research in audio, speech, multimedia, communication, natural language, and information retrieval. He is also an affiliate Professor of Electrical Engineering at the University of Washington, Seattle. Dr. Acero is author of the books "Acoustical and Environmental Robustness in Automatic Speech Recognition" (Kluwer, 1993) and "Spoken Language Processing" (Prentice Hall, 2001), has written invited chapters in 4 edited books and 200 technical papers. He holds 53 US patents. Dr. Acero is a Fellow of IEEE. He has served the IEEE Signal Processing Society as Vice President Technical Directions (2007-2009), 2006 Distinguished Lecturer, member of the Board of Governors (2004-2005), Associate Editor for IEEE SIGNAL PROCESSING LETTERS (2003-2005) and IEEE TRANSACTIONS OF AUDIO, SPEECH AND LANGUAGE PROCESSING (2005-2007), and member of the editorial board of IEEE JOURNAL OF SELECTED TOPICS IN SIGNAL PROCESSING (2006-2008) and IEEE SIGNAL PROCEESING MAGAZINE (2008-2010). He also served as member (1996-2000) and Chair (2000-2002) of the Speech Technical Committee of the IEEE Signal Processing Society. He was Publications Chair of ICASSP98, Sponsorship Chair of the 1999 IEEE Workshop on Automatic Speech Recognition and Understanding, and General Co-Chair of the 2001 IEEE Workshop on Automatic Speech Recognition and Understanding. Since 2004, Dr. Acero, along with co-authors Drs. Huang and Hon, has been using proceeds from their textbook "Spoken Language Processing" to fund the "IEEE Spoken Language Processing Student Travel Grant" for the best ICASSP student papers in the speech area. Dr. Acero is member of the editorial board of Computer Speech and Language and he served as member of Carnegie Mellon University Dean's Leadership Council for College of Engineering. Ph.D., Linguistics, University of Michigan, 1961. After ten years at The Ohio State University and one year at the Center for Advanced Study in the Behavioral Sciences (Stanford University), he joined Berkeley's Department of Linguistics in 1971 and retired in 1994. His research has concentrated mainly on questions of grammar and lexical semantics, and has emphasized the relationship between properties of linguistic form and matters of meaning and use. He is currently collaborating with Paul Kay, Laura Michaelis, and Ivan Sag on a monograph on construction grammar and is engaged in several projects with the "FrameNet" research team at the international Computer Science Institute in Berkeley. This work, which began in 1997, includes providing frame-semantic descriptions of English lexical units documented with evidence taken from very large text corpora, and providing schemes for annotating texts with respect to the lexical and constructional contributions to their meaning. Details are available on the project's web page, http://www.icsi.berkeley.edu/~framenet/. Dr. Ruzena Bajcsy ("buy chee") was appointed Director of CITRIS and professor of EECS department at the University of California, Berkeley on November 1, 2001. Prior to coming to Berkeley, she was Assistant Director of the Computer Information Science and Engineering Directorate (CISE) between December 1, 1998 and September 1, 2001. As head of National Science Foundation's CISE directorate, Dr. Bajcsy managed a $500 million annual budget. She came to the NSF from the University of Pennsylvania where she was a professor of computer science and engineering. In 2004 she became a CITRIS director emeritus and now she is a full time professor of EECS. Dr. Bajcsy is a pioneering researcher in machine perception, robotics and artificial intelligence. She is a professor in the Electrical Engineering and Computer Science Department at Berkeley. She was also Director of the University of Pennsylvania's General Robotics and Active Sensory Perception Laboratory, which she founded in 1978. Dr. Bajcsy has done seminal research in the areas of human-centered computer control, cognitive science, robotics, computerized radiological/medical image processing and artificial vision. She is highly regarded, not only for her significant research contributions, but also for her leadership in the creation of a world-class robotics laboratory, recognized world wide as a premiere research center. She is a member of the National Academy of Engineering, as well as the Institute of Medicine. She is a recipient of Franklin Medal 2009. She is especially known for her wide-ranging, broad outlook in the field and her cross-disciplinary talent and leadership in successfully bridging such diverse areas as robotics and artificial intelligence, engineering and cognitive science. Dr. Bajcsy received her master's and Ph.D. degrees in electrical engineering from Slovak Technical University in 1957 and 1967, respectively. She received a Ph.D. in computer science in 1972 from Stanford University, and since that time has been teaching and doing research at Penn's Department of Computer and Information Science. She began as an assistant professor and within 13 years became chair of the department. Prior to her work at the University of Pennsylvania, she taught during the 1950s and 1960s as an instructor and assistant professor in the Department of Mathematics and Department of Computer Science at Slovak Technical University in Bratislava. She has served as advisor to more than 50 Ph.D. recipients. In 2001 she received an honorary doctorate from Universty of Ljubljana in Slovenia and Lehigh University. In 2001 she became a recipient of the ACM A. Newell award. Dana Scott, a native of California, received his B.A. in Mathematics at U.C. Berkeley in 1954, and his Ph.D. in Mathematics at Princeton in 1958. After he taught at the University of Chicago, U.C. Berkeley, Stanford, Amsterdam, Princeton, Oxford (U.K.), Linz (Austria), and Carnegie Mellon University, he became Professor Emeritus in July of 2003. Dana Scott's research career has spanned computer science, mathematics, and philosophy. His work on automata theory earned him the ACM Turing Award in 1976. 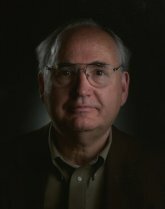 His collaborative work with Christopher Strachey in the 1970s -- the Scott-Strachey approach to denotational semantics -- constitutes one of the most influential pieces of work in theoretical computer science and can perhaps be regarded as founding one of the major schools of computer science. He has been awarded honorary degrees at Utrecht, Darmstadt, Edinburgh, and Ljubljana. He has been a Bell Telephone Fellow, Miller Institute Fellow, Alfred P. Sloan Research Fellow, Guggenheim Foundation Fellow, Visiting Scientist at Xerox PARC, Visiting Professor at the Institut Mittag-Leffler, Sweden, and most recently a Humbolt Stiftung Senior Visiting Scientist. He is a fellow of the Academia Europaea, American Association for the Advancement of Science, American Academy of Arts and Sciences, Association for Computing Machinery, British Academy, Finnish Academy of Sciences and Letters, New York Academy of Sciences, and U.S. National Academy of Sciences. 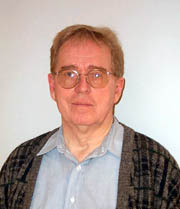 He received the LeRoy P. Steele Prize of the American Mathematical Society, the Turing Award (with Michael Rabin) of the Association for Computing Machinery, the Harold Pender Award, University of Pennsylvania, the Rolf Schock Prize in Logic and Philosophy, Royal Swedish Academy of Sciences, and the Bolzano Medal for Merit in the Mathematical Sciences of the Czech Academy of Sciences. In August, 2009, Scott was awarded the Gold Medal "For Great Contributions in Mathematics" by The Sobolev Institute of Mathematics (SB RAS), Novosibirsk, Russia. Lotfi Zadeh is an alumnus of the University of Tehran, MIT and Columbia University. He held visiting appointments at the Institute for Advanced Study, Princeton, NJ; MIT, Cambridge, MA; IBM Research Laboratory, San Jose, CA; AI Center, SRI International, Menlo Park, CA; and the Center for the Study of Language and Information, Stanford University. His earlier work was concerned in the main with systems analysis, decision analysis and information systems. His current research is focused on fuzzy logic, computing with words and soft computing, which is a coalition of fuzzy logic, neurocomputing, evolutionary computing, probabilistic computing and parts of machine learning. 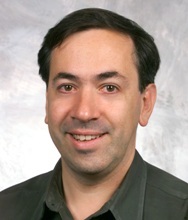 Lotfi Zadeh is a Fellow of the IEEE, AAAS, ACM, AAAI, and IFSA. He is a member of the National Academy of Engineering and a Foreign Member of the Russian Academy of Natural Sciences, the Finnish Academy of Sciences, the Polish Academy of Sciences, Korean Academy of Science & Technology and the Bulgarian Academy of Sciences. He is a recipient of the IEEE Education Medal, the IEEE Richard W. Hamming Medal, the IEEE Medal of Honor, the ASME Rufus Oldenburger Medal, the B. Bolzano Medal of the Czech Academy of Sciences, the Kampe de Feriet Medal, the AACC Richard E. Bellman Control Heritage Award, the Grigore Moisil Prize, the Honda Prize, the Okawa Prize, the AIM Information Science Award, the IEEE-SMC J. P. Wohl Career Achievement Award, the SOFT Scientific Contribution Memorial Award of the Japan Society for Fuzzy Theory, the IEEE Millennium Medal, the ACM 2001 Allen Newell Award, the Norbert Wiener Award of the IEEE Systems, Man and Cybernetics Society, Civitate Honoris Causa by Budapest Tech (BT) Polytechnical Institution, Budapest, Hungary, the V. Kaufmann Prize, International Association for Fuzzy-Set Management and Economy (SIGEF), the Nicolaus Copernicus Medal of the Polish Academy of Sciences, the J. Keith Brimacombe IPMM Award, the Silicon Valley Engineering Hall of Fame, the Heinz Nixdorf MuseumsForum Wall of Fame, other awards and twenty-six honorary doctorates. He has published extensively on a wide variety of subjects relating to the conception, design and analysis of information/intelligent systems, and is serving on the editorial boards of over sixty journals. Users can successfully find documents in the web by typing queries, but sometimes they're interested in a specific task and a list of documents doesn't satisfy their information request. This is because traditional search engines require users to express their intent in a text query, which is sometimes difficult. Sometimes the problem is simply that the user refers to a concept with a different word than the web page uses and no match is found by the search engine. The Holy Grail is a system that understands users' intent and their context and delivers the right information. We've been investigating developing applications that infer users' intent and context. In my talk I will show examples of the work we have done in search engines, voice search and video. For example, I will describe how sometimes instead of returning a set of web pages, it's better to show the answer to the user's question. I will show how we can mine the web and extract semantics that can help us figure out when to show such answers and when not to using unsupervised graph learning techniques. I will talk about treating the search process as a dialog. In the talk I'll also show how to estimate users intent when their query is spoken instead of typed. This is an important scenario when driving, using a mobile phone, or interacting with the TV in a family room. Humans have many remarkable capabilities. Among them there are two that stand out in importance. First, the capability to converse, communicate, reason and make rational decisions in an environment of imprecision, uncertainty, incompleteness of information and partiality of truth. And second, the capability to perform a wide variety of physical and mental tasks without any measurements and any computations. In large measure, Computing with Words is inspired by these remarkable capabilities. Achievement of human level machine intelligence has long been one of the principal objectives of AI. Progress toward achievement of this objective has been and continues to be slow. Anybody who had the experience of struggling with a dumb automated customer service system will readily agree. In a 200l paper entitled "A New Direction in AI-Toward a Computational Theory of Perceptions," published in the AAAI Magazine, I argued that one of the principal reasons for slowness of progress has been AI's failure to address the problem of reasoning and decision-making with perception-based information. A key idea which was suggested in my paper was that of dealing not with perceptions per se but with their descriptions in a natural language. This idea is a natural derivative of the fact that a natural language is basically a system for description of perceptions. It is at this point that Computing with Words enters the picture. In essence, Computing with Words is a methodology for reasoning, computing and decision-making with information described in natural language. It is this methodology, described in my l999 IEEE paper, "From Computing with Numbers to Computing with Words-From Manipulation of Measurements to Manipulation of Perceptions," that is needed for computation with natural language descriptions of perceptions. Underlying Computing with Words are three principal rationales. First, much of human knowledge is described in natural language. Second, words are less precise than numbers-we use words when we do not know the numbers. In this perspective, Computing with Words may be viewed as a powerful formalism for dealing with imprecise information. And third, precision carries a cost. If there is a tolerance for imprecision, it can be exploited through the use of words in place of numbers. This is the key idea which underlies the machinery of linguistic variables and fuzzy if-then rules-a machinery which is employed in almost all applications of fuzzy logic, especially in the realms of consumer products and industrial systems. By adding to the armamentarium of AI an effective tool for reasoning and computing with information described in natural language, Computing with Words opens the door to a to a wide-ranging enlargement of the role of natural languages in science and engineering. Having entered research in the 50's in Mathematical Logic in the Tarski School of Formal Semantics, my first activities were in Model Theory and Axiomatic Set Theory. Being a close friend and collaborator of Richard Montague since college days, I watched with interest his development of a New Semantics for Natural Language -- though I never completely bought into his philosophy. In the late 60's in work with Christopher Strachey at Oxford, we proposed using a Denotational Semantics for Programming Languages, which has had much influence and motivated many alternative approaches. Now, late in life, I am returning to thinking about Modal Logic and Probability Logic. The talk will lightly review this personal history and suggest some future developments I would like to see. This talk will be an exploration of the kinds of linguistic knowledge speakers of a language bring to the task of trying to understand spoken or written texts. Much of what goes on when we try to make sense of what we read or what people are telling us involves details of context and shared experience between communicants, but this talk will be limited to knowledge about language as such. There's plenty to say. (c) to exploring the vast world of idioms, phrasal patterns, and complex constructions that take us far beyond lexical meanings and simple grammatical relations, but that are absolutely necessary to complete the linguistic part of language understanding. The general theme is what is involved in knowing a language, how the aspects of that knowledge can be discovered and recorded, and how systematic descriptions of such knowledge can enable computational processes that might lead to improvements in question answering, linguistically sophisticated search, automatic translation, and other language engineering tasks. Lexical units in FrameNet are linked to particular semantic frames (linguistically coded conceptual structures) and descriptions of lexical units in FrameNet are guides to where to find, in nearby phrases, the information that fills in the details of such frames; since there are many different linguistic ways of saying the same thing, FrameNet in principle provides the data needed for recognizing paraphrase relations, far beyond the mere recognition of synonyms or other word-to-word relations; and since many frames are described in terms of "stories" that have pre-conditions, focal events, and consequences, FrameNet analysis provides material for deriving licensed inferences from sentences. The various efforts to create FrameNet-like resources for languages other than English point to the possibility of allowing FrameNet semantic representations to serve as a kind of Interlingua for translation research. We shall document some of our applications in arts(dance) and in scientific collaboration. Finally we shall show the outstanding research agenda that comes about from this type of infrastructure. This special session addresses the use of semantic approaches and technologies in spoken-content-based multimedia access. Speech technology is increasingly applied to provide or enhance semantic access to audiovisual content. Time-labelled and segmented speech transcripts provide a rich basis for content exploration, allowing access both on the document level and the fragment or object level. Either alone or in combination with manual or additional automatic annotation approaches (archivists, community tagging, video analysis), automatic speech-based annotation opens interesting new ways to exploit information in the growing amounts of audiovisual content, such as cross-media mining, question/answering, quote finding, and topic tracking. In this context, the tailoring of semantic modeling technologies to speech-based annotations is a key topic. Proposals are welcomed that address (i) the deployment of semantic analysis technologies that may improve content retrieval based on speech transcripts; relevant technologies may involve the use of ontologies, folksonomies, named entity recognition, semantic relation detection, reasoning) and standards (e.g. RDF), (ii) methods aiming at knowledge extraction from spoken document collections by manual annotation and tagging performed by users and (iii) descriptions of frameworks for the evaluation of the accuracy and usability of semantic access techniques for speech content. Contributions are solicited for oral presentations (6-8 pages). Please download the advance program at-a-glance or with details as of September 2nd, 2009 .